The boy Capricorn has a calm, balanced character. In any circumstances clearly follows the rules, for him life is a serious matter. The boy sets himself extremely achievable goals, dreams — are insubstantial, they have no material value. For the sake of success and prosperity, he is ready for sacrifice, he will not be afraid of the hardest work. This approach to life testifies to the exceptional qualities of the Capricorn boy. Capricorn — a favorite of adults, a sensible boy does not cause trouble. He reaches out to people with experience and knowledge. In a society of peers, the boy is bored, stupid pranks — not the limit of his dreams. In the world there are so many interesting things, Capricorn boy has no right to relax, he builds serious plans for life. Little Capricorn is a real man, trying to keep emotions deep in himself. He considers it necessary to protect the peace of his close people, so he does not share his problems with them. Capricorn the boy responsibly approaches any instruction, tries to execute it as precisely as possible. Parents are proud of the ideal son, he will never put them in an uncomfortable position by his unworthy behavior. Capricorn is an earthly sign, the elements determine the properties of its character: practicality, perseverance, prudence, calmness. The boy does not need communication, he is always busy with his own affairs. He will not be interested in a noisy party, he will prefer to go to an important seminar or sit down to read books. Always striving to create material values, it is important for a guy to feel financial stability. Recommended profession: accountant, economist, businessman, manager. Capricorn is a true representative of the earth sign, does not consider it necessary to develop creative abilities. He only engages in activities that are beneficial. A guy can organize a business selling hand-made articles, but he will not sing or dance, even if he has the ability to do it. And he will approach the case very responsibly: he will think out the smallest details, calculate the possible risks. Surrounding people are amazed at his serious approach to life. A practical boy will not ask his parents for new toys and fancy things, he would rather buy an encyclopedia or a set of tools. The boy Capricorn has inner strength, he does not need approval or encouragement. At least, it tries not to demonstrate it. The boy seldom shares his thoughts, he is too focused on the result, to waste his energy on trifles. Excessive restraint can find a way out in sudden outbursts of anger and irritability. Parents should teach their son to splash out their emotions, constant internal stress can negatively affect health. Capricorn is characterized by a rare persistence in achieving its goals. Even if his desires seem impossible, he will certainly achieve an ideal result. Surrounding people can doubt and even make fun of a stubborn boy, this fact does not bother him at all. The main thing is inner confidence. Capricorn may temporarily retreat and hide, but it will definitely come to an end. He will easily sacrifice personal happiness for the sake of a successful career. Capricorn does not need new impressions, any changes in life perceive with suspicion and caution. He must carefully think and weigh every step, so the need to act quickly and decisively causes a sadness in the boy. He is deprived of childish spontaneity, he can not relax for a minute. Never acts rashly and impulsively, avoids risky situations. Capricorn — a reliable person, which you can always rely on. Parents can be happy with the son, he happily avoids youthful stupidities and troubles. Babe Capricorn is an amazing child. The boy does not play pranks and does not play pranks, he quietly sits on one spot and looks at the pictures in the book. Adults may think that the child is either sick or has something to worry about. Do not worry and get nervous, passive behavior is the norm for Capricorn. Parents should not insist on his communication with peers, it is best to visit a museum or read a book to him. Such pastime benefits, it means — pleasure and joy. Capricorn reaches out to knowledge, the exact sciences are of particular interest. A disciplined boy likes a clear schedule of the day, he before all appears in class. Teachers are always set as an example of an industrious student. Even if Capricorn has difficulty in studying someone else’s subject, he will certainly achieve an excellent assessment. The boy will work hard without resorting to outside help. Parents do not have to hire a tutor, a practical guy will not accept such a sacrifice. He has the necessary qualities to succeed independently: perseverance, dedication, diligence. In terms of health, the boy is useful in sports, he spends too much time on books, the guy needs physical activities. In adolescence, the inner experiences of a young man are a mystery to close people. His natural restraint is repeatedly increased and reaches a threatening size. The guy completely ceases to share his thoughts and experiences. He painfully reflects on his future, trying to find a way in life. Constant internal stress can lead to depression. Close people should take the young man as often as possible on joint trips. It is necessary to encourage his communication with peers. Capricorn — a homebody, you can invite his friends to visit. 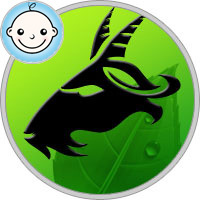 Raising the boy Capricorn does not require the special participation of parents. He is so independent and self-contained that he can organize his life in the best way. Parents can only watch the amazing son. Adult people with life experience should help the boy to become more open to the world around him. Excessive restraint can put an ambitious guy away from the fulfillment of the most cherished desires. The ability to communicate with people be a useful skill for life.